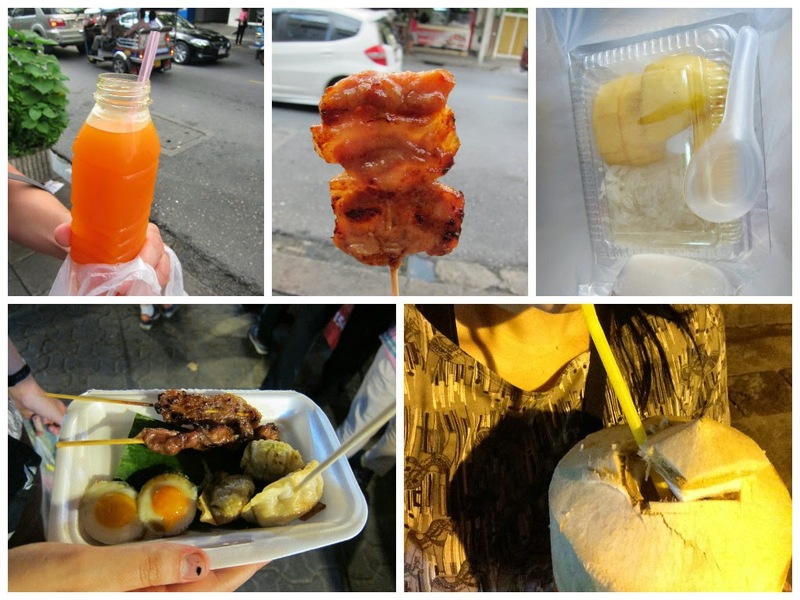 candidanimal: What Did I Eat in Thailand? An Encyclopedia of Culture and Style. 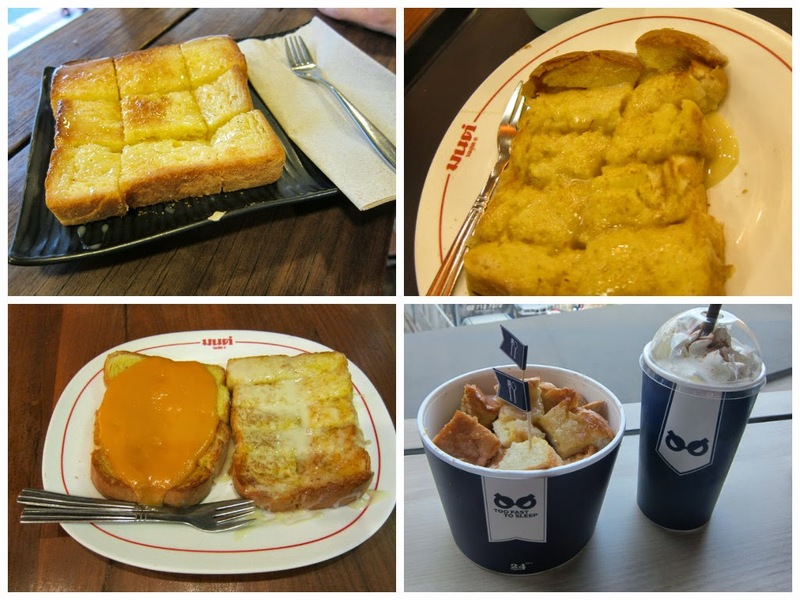 What Did I Eat in Thailand? Thailand is food heaven where the average meal costs $2 or less. 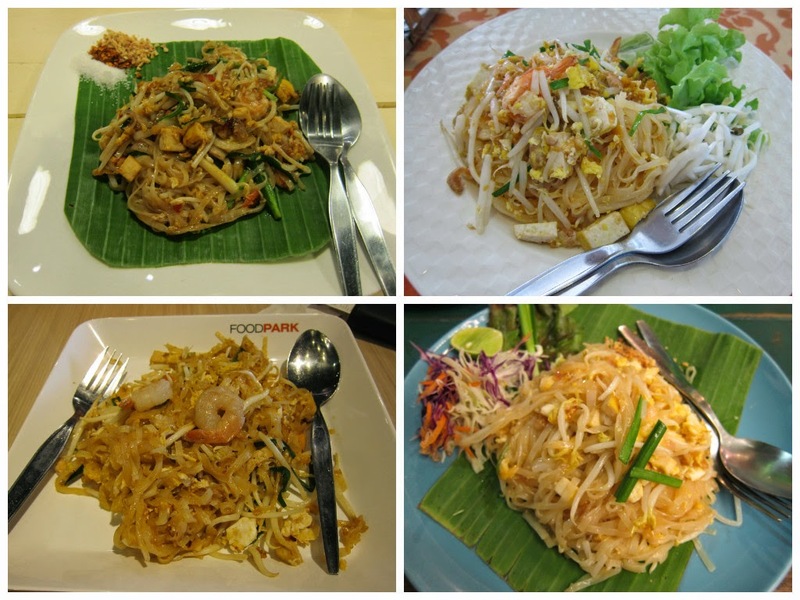 I took advantage of the cheap eats to indulge many of my Thai and western favorites. Food I wished I had but didn't: Fresh melon with chili. I kept hearing about ti, but never found it. Food I had but wished I didn't: probably salad. Not that it wasn't good, but come on, there are so may better things to eat in Thailand. What should have been on the list: milk toast! 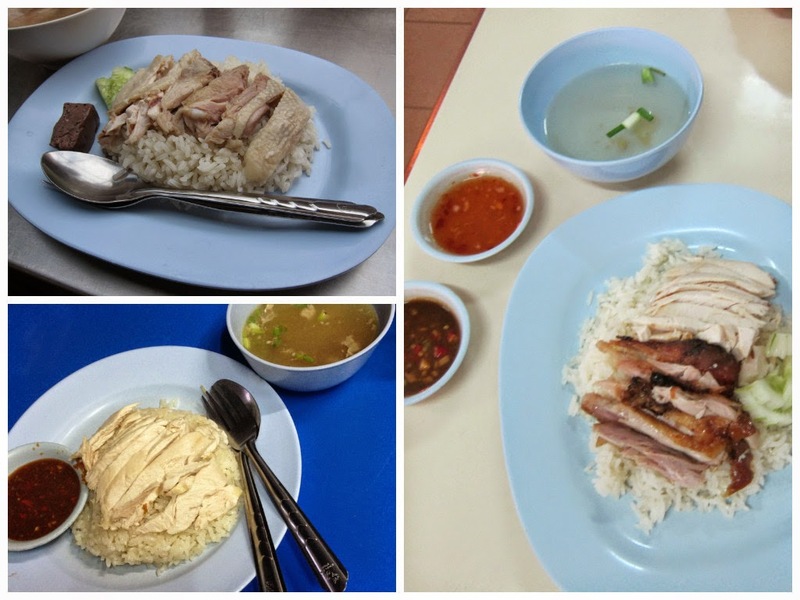 Biggest surprise: Thailand's chicken rice is better than Singapore's. My favorite food in Thailand. So sweet. So spicy. 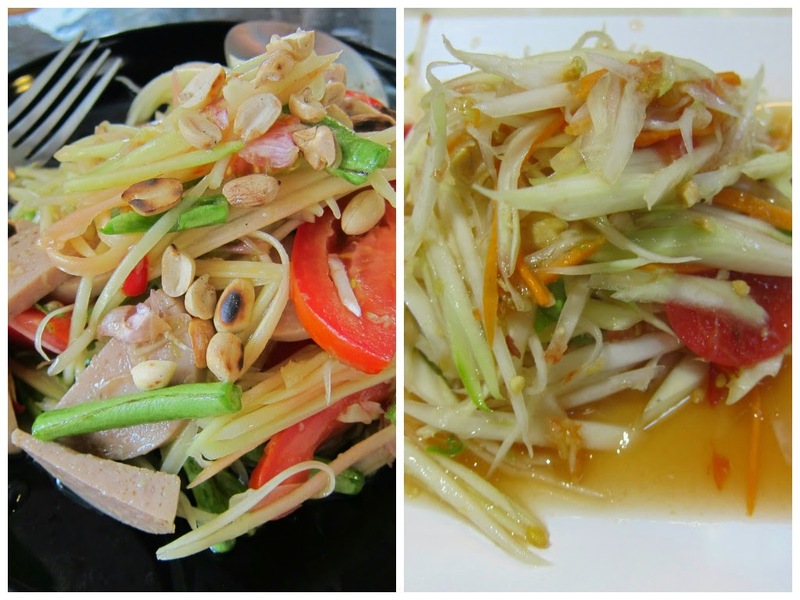 The staple at Thai restaurants in America turns out to be a legitimate dish! Never heard of this before coming to Thailand, but it’s excellent. French bread, toasted and butters, then covered with condensed milk. What I thought was a Singaporean dish is actually a classic Thai one too. I like the Thai version better because it sometimes comes with a piece of blood cake, and the sauce is spicier. Thailand may well be the best country in the world for street food (second only to Taiwan – but I’, very biased). Winning points include variety, freshness, sanitation, and expert takeaway packaging. 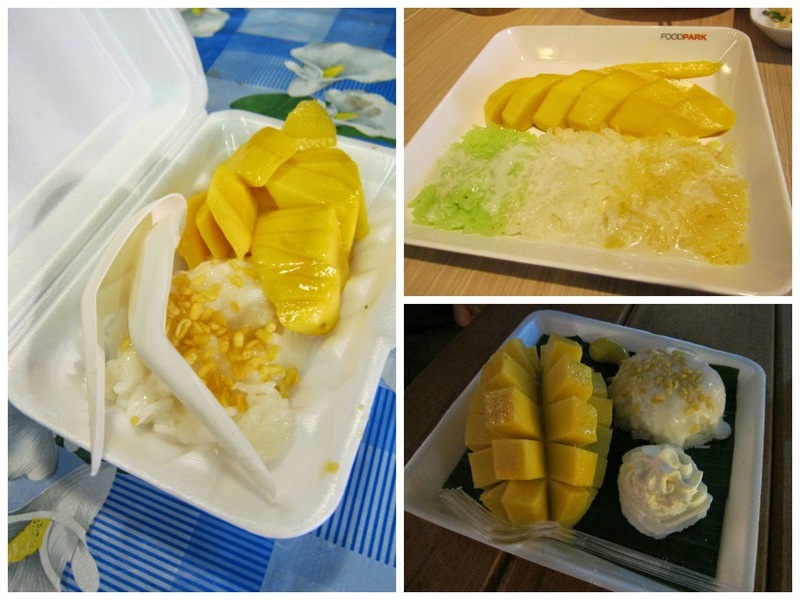 My favorite Thai dessert (and possible my favorite dessert of any kind) is widely available on the streets and in restaurants across the country. I heard that mangos would only be good in summer, but even in winter I thought they were great! 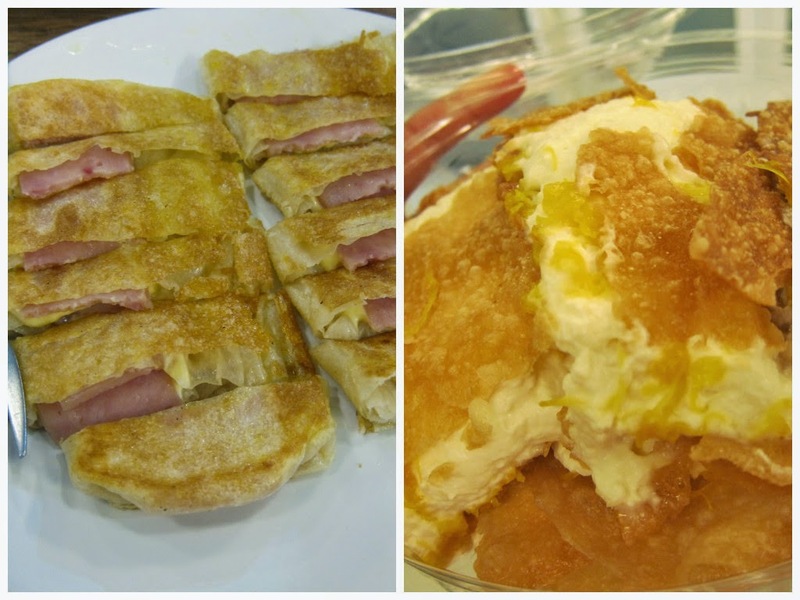 Rotis are originally from the Indian subcontinent, but the Thais have reimagined them as desserts and crepes. I ordered a ham and cheeses roti which was excellent (though not filling), but the rottis with whipped cream and fruit are the most popular. 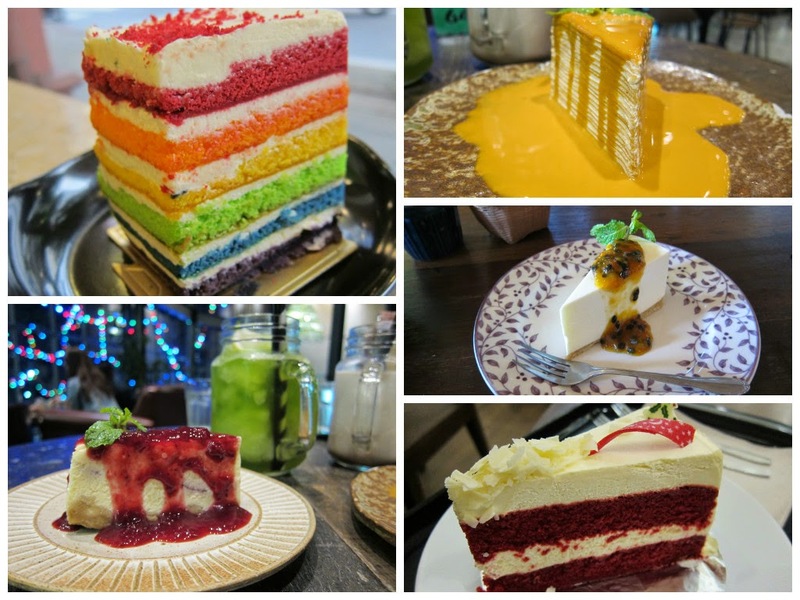 Cake is great in Thailand. I had all kinds of cake. Red velvet cake, rainbow cake, cheesecake. I was told not to eat salas in Asia because the vegetables are not clean and are washed with unsanitary water. 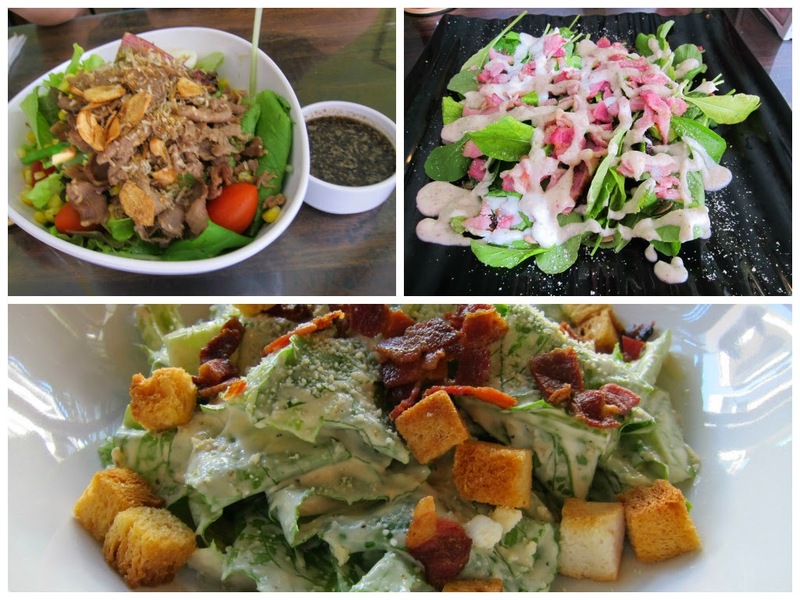 However, I could not resist the wildly popular Salad Concept in Chiang Mai. Best salads in the country! Our favorite hole-in-the-wall was this almighty breakfast noodle place and we ate here almost everyday. 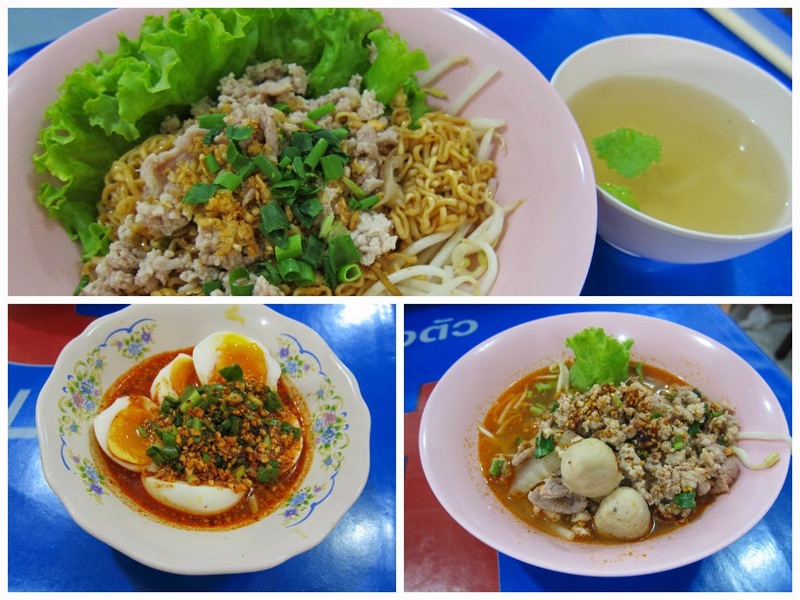 I loved the spicy tom-yam eggs, and tom-yam noodles. Labels: 2014, 2015, Food, SE Asia Hop, THAILAND, What Do I Eat? © Candidanimal.com, 2017. Unauthorized use and/or duplication of this material without express and written permission from this blog’s author and owner is strictly prohibited. Excerpts and links may be used, provided that full and clear credit is given to Candidanimal.com with appropriate and specific direction to the original content. © Candidanimal.com, 2017. Travel theme. Powered by Blogger.